Great little pub this is. Choice of 4 ever changing ales, we tried a Beerd IPA and a RAW JR bitter. Also had a box of rough cider on the bar along with Thatchers Gold. Pool table with a smoking area out the back. Defo the best pub of the day in this area by a long chalk. The Red Lion is having a mini beer festival 17th-23rd October. Please come along to have a look at the refurbishment & try some beers that you don't normally find in Bristol; Castle Rock,Rebellion,North Yorks,Springhead & Brewsters. 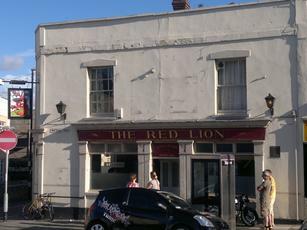 Re-opened on Saturday 6th August by Keith/Lemmy from the Chelsea. Three real ales on. Should be worth a try.